Sqrxz 2 – Page 2 – Sqrxz by Retroguru – Mindblasting frustration deluxe! Really a lot of effort has gone into the following video review of the Sqrxz-Quadrology made by Chris/Memories in 8Bit. Check it out and feel free to leave comments. We at Retroguru truly enjoyed it. 64-Bit Linux Build Updates for Sqrxz 2, 3 and 4! 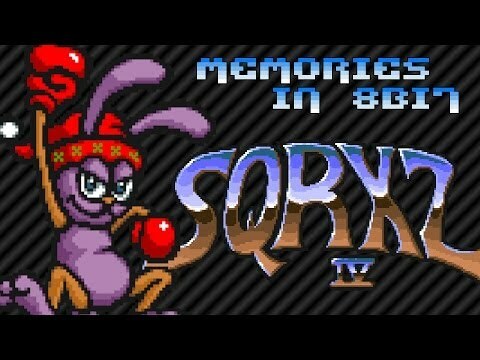 Chris of Memories in 8Bit found a bug in the 64-Bit Linux builds of Sqrxz. The issue is fixed now. Downloads available in their sections. Sqrxz 2 PSP placed 2nd in the “PSP Homebrew Game Competition 2013” organized by FouadtjuhMaster, DashHacks and PSVitaGR. There was the one or other nice game, so if you still love PSP homebrew you may want to check all entries out! Happy new year 2014 from Retroguru with updated ports of Sqrxz 2 for Dreamcast (Thanks Indiket) and Symbian OS Series 60 & Symbian OS UIQ3 (Thanks AnotherGuest). Get your updates from the download page. The only remaining updates to come yet are for Caanoo, MotoMAGX and OpenPandora. 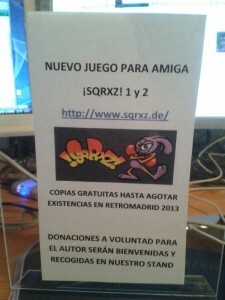 RetroMadrid 2013 – Free Sqrxz and Sqrxz 2 Amiga OCS floppies! 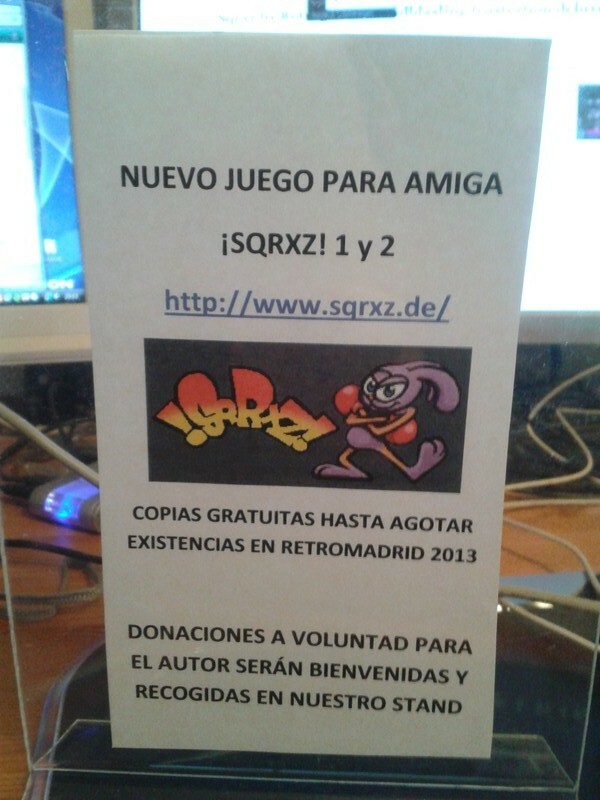 With pleasure we teamed up with Dreamcast.es and can offer free floppy disks with Sqrxz and Sqrxz 2 at RetroMadrid (limited supply, so be fast!). RetroMadrid is hold this weekend and will be the first chance for Spanish Amiga-Fans to get a physical version – the game is free, certainly we will not mind if you donate a bit so we can cover our production costs. The game is available at the Dreamcast.es-Booth. This might sound odd, but Indiket, who is part of Dreamcast.es as well, ported all Sqrxz parts to Dreamcast, so this seemed the best solution having a real team member giving away Sqrxz. Get the game at the Commodore 4 Ever booth now! Sqrxz 1 Amiga OCS won the first place, and Sqrxz 2 Amiga OCS the second place in the Amiga68k category at the Amiga Games Award 2012. Thanks to everyone! We will make sure to recode Sqrxz 3 for Amiga OCS too sometime this year!